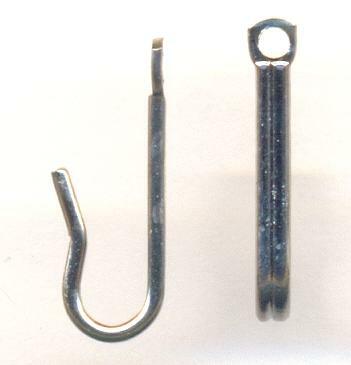 Price listed is for six clasp hooks. These are silver necklace hooks measuring about 15mm long. They have a hole at the end.